Friday 4th September, 6pm - 8pm. Currie’s association with GPS goes back a long time, to the early 80s. However it was only in 1992 that he undertook any serious printmaking work at the print studio, when he produced a series of 27 etchings called 'The Age of Uncertainty'. This was exhibited at GPS that same year. 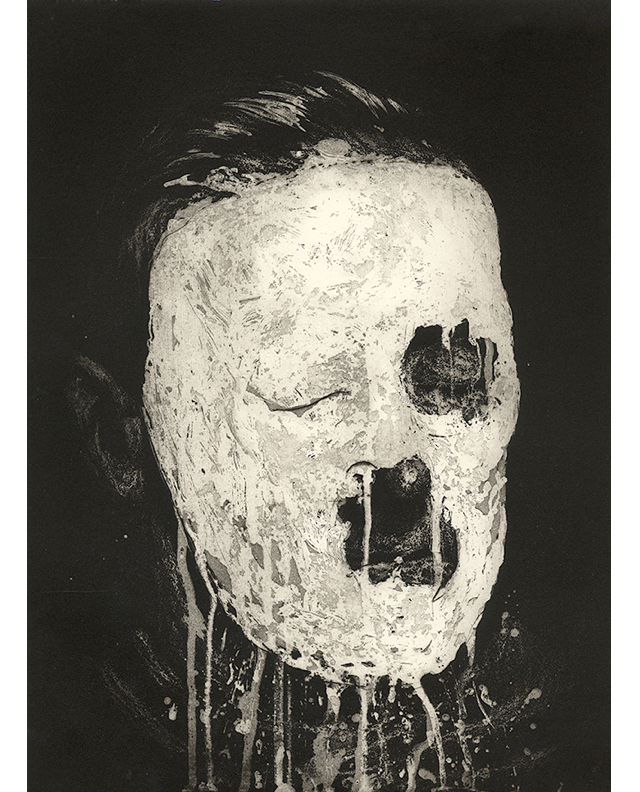 Image: Ken Currie, A Life Mask, etching, image size 23.5 x 31.5 cm, paper size 52 x 62 cm in an edition of 40. Alasdair Wallace is primarily a painter but he has had an ongoing interest in printmaking for many years. 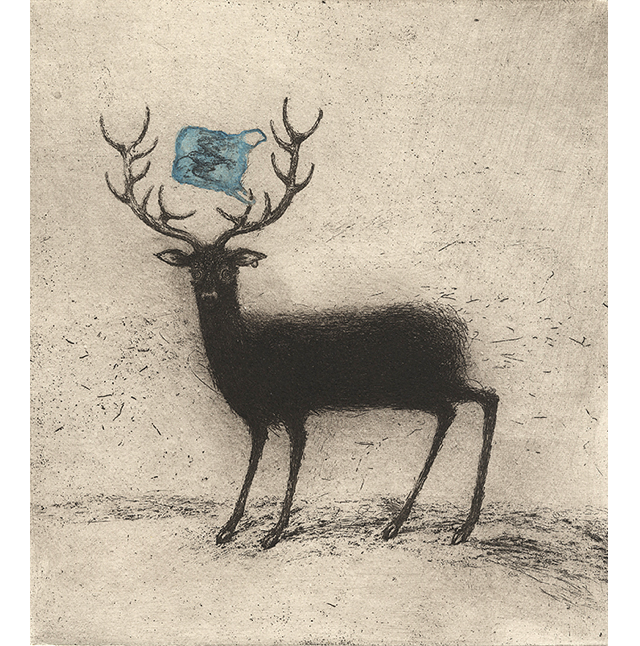 He is drawn mainly to etching but has also editioned screen prints with Glasgow Print Studio. He has explored mono printing as well as the possibilities of using print and paint together - aspects of which are reflected in this show. 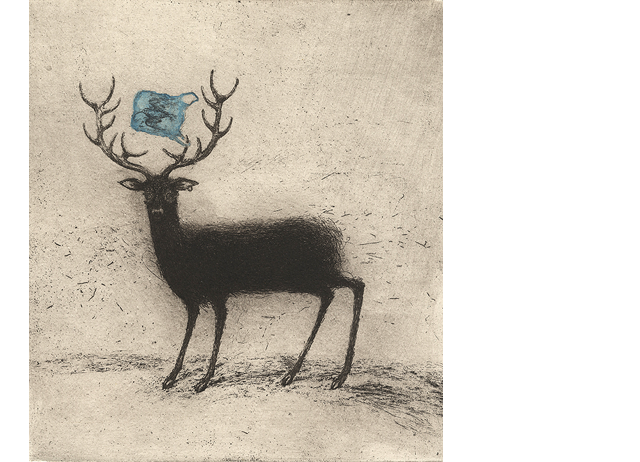 Image: Alasdair Wallace, Bag Stag, etching with watercolour, 30 x 27 cm.